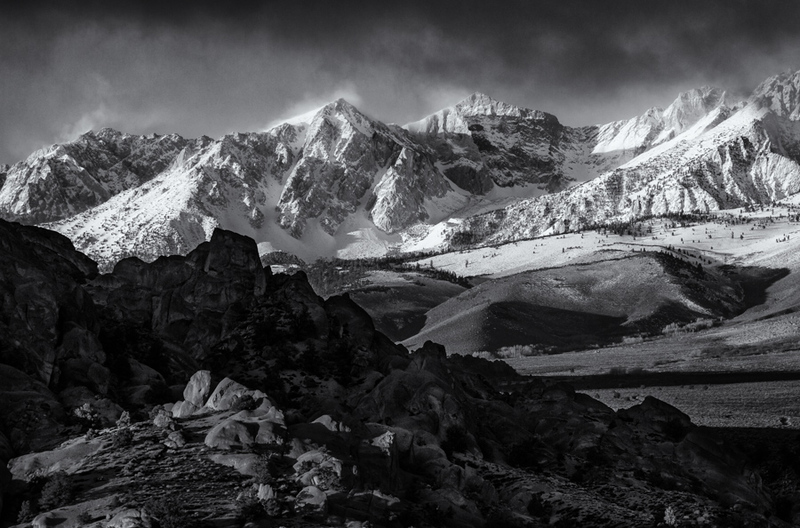 Winter storms in the Eastern Sierra are fierce and move in quickly. A storm descended upon the mountains as I stood on the Buttermilk Boulders. I grabbed my camera and shot this handheld; I only had time to get one shot, and then the scene was obscured by clouds.